We know it can be hard to say goodbye to a car you’ve had for a long time. It was so reliable once upon a time… but maintaining it is now beginning to cost you more than the vehicle is even currently worth! It’s a story as old as the automobile. Luckily, you can get cash for your car in Nassau County, New York! Some people like to think that it may be more worthwhile to find a buyer in their neighborhood who will take their car off their hands. Unfortunately, most private sales don’t play out as smoothly as anyone would like. That’s why companies like ours exist. The Original Cash For Cars in Nassau County, New York, will take your vehicle off your plate, so you can wash your hands of the whole sordid ordeal. Still don’t believe us? Consider the amount of time it will take you to actually make the sale! You have to clean up your vehicle, price it fairly, post it for sale in as many places as you can, give prospective buyers a means of contacting you, and be able to respond to all requests (regardless of whether or not the buyer is truly serious). Potential buyers may even ask for additional repairs that aren’t in your best interest. Due to these and many other pitfalls, we’re more than happy to travel directly to you and pay cash for your car at your Nassau County, NY, home. We even buy junk cars for cash in Nassau County, New York! We always offer free towing—even if the car drives just fine. Our friendly appraisal team will come out, survey the vehicle as expediently as possible, and offer you a quote that we can pay immediately. We pay more than scrap yards and other car buyers in Nassau county! Our level of service really can’t be beat. 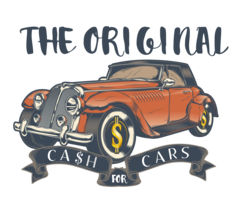 If you want cash for your car in the Nassau County area, you’ve come to the right place!